We’re constantly rolling out new features to the platform, like the Media Exposure Tab, Daily Engagement Report, and Powerpoint report export. This week two new features — an updated Roster View and Sorting Preferences — hit Blinkfire, and they were built so you can have the data you want in the best, most seamless way possible. Get a deeper look into the followers of a team’s roster players. Break down what percentage of followers each player has relative to all players on the team. 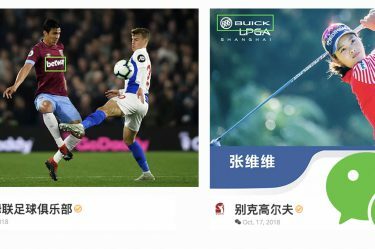 We display a pie chart showing each player’s following by social channel (depending on which channels a player has), including Twitter, Facebook, Instagram, Google+, Sina Weibo, YouTube, VK, and Twitch. 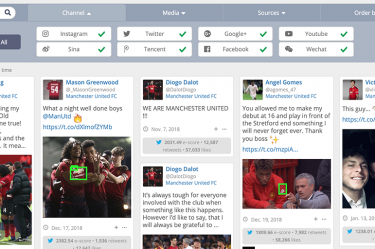 The table view of roster players and followers is still available below the new and improved pie chart and shows followers by social channel and Blinkfire Index. We want to give our users the flexibility to view the data they want. That’s why we’ve added a default option to our sorting preferences. In Settings, users can set a default to view social posts by recency, E-Score, or engagement throughout the platform. 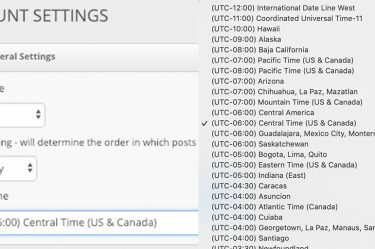 And, if you want to change the order of posts, you have the ability to do so, including on an entity’s Dashboard.